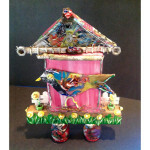 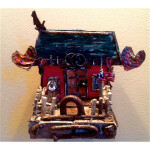 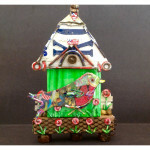 Dimensions: 7.0" x 10.0" x 1.5"
One of the most popular works are my bird shack pieces. 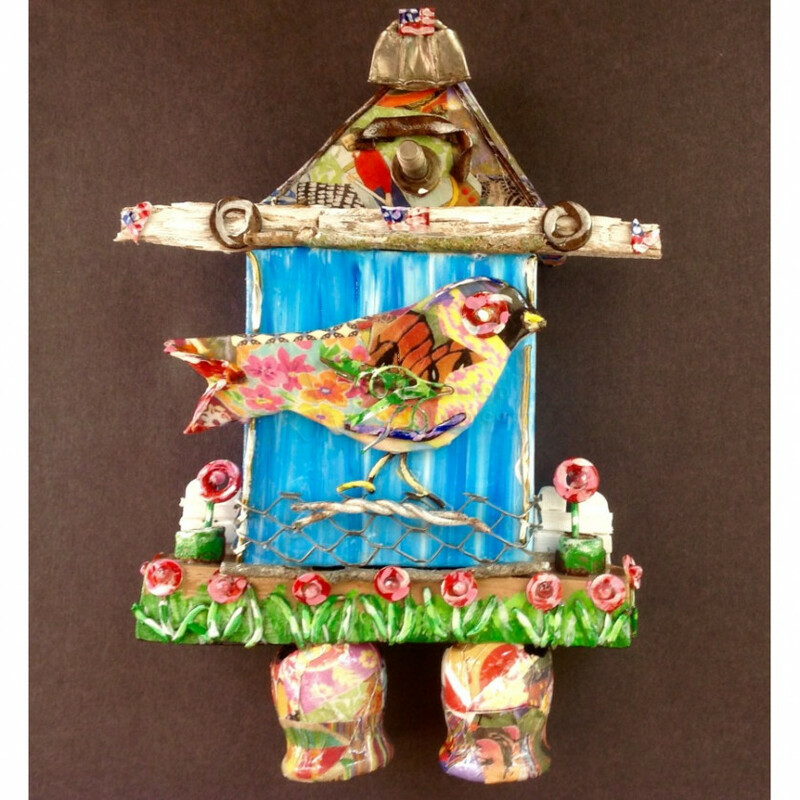 This is crafted from collected beach wood and found objects and highlighted with a bird created from cardboard and paper collage. 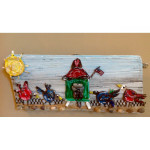 A row of red peonies fashioned out of old washers and coat hanger bits grounds the shack. 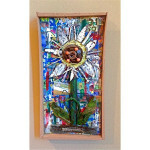 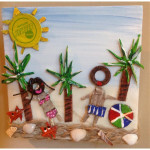 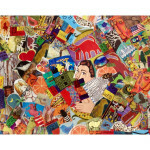 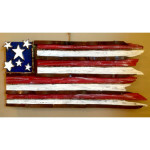 Wooden dowels covered in paper collage gives this piece its presence and its individuality. 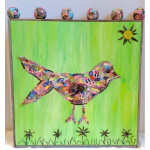 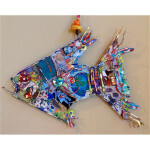 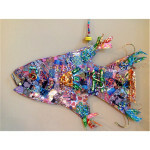 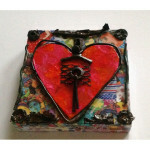 Perfect size for displaying on a shelf and is ready to hang on a wall for an instant boost of color.